contractors, developers and municipalities. We also offer custom mold and extrusion capabilities. innovative products for waste water engineering and all types of subterranean developments. We have grown from a one-man shop to a worldwide distributor by providing resilient, quality products and services with integrity and value. Our couplings are sold in the United States and Canada through manufacturers' representatives and internationally through distributors. We are guided today by our original values of quality, innovation, integrity and commitment. representative or local distributor today. We are proud members of the following building trade organizations that are committed around the world to improve product quality, enhance safety, facilitate market access and trade, and build consumer confidence. Along with membership, our employees are in leadership positions with regional associations. 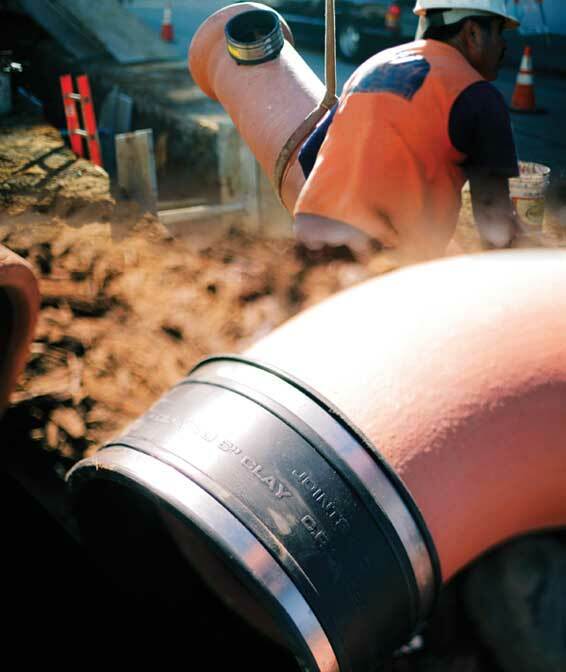 The NCPI is the single center for the research and development of clay pipe technology. As a result of this focus and decades of research and development, NCPI has become the authority on Vitrified Clay Pipe. NCPI is available to provide assistance in design, training and evaluation of systems. implementing comprehensive plumbing and mechanical systems around the world. environmentally sound, cost effective products. our customers, vendors and employees. sewer fittings and sewer repair work. To deliver uncompromising personalized service. © 2014 JointsCouplings.com. All rights reserved.